Why is my computer so slow? We got this question often in our comments section, so we are dedicating a reference article on this subject. When I asked myself this question Why is my computer so slow? for the first time, I did not have much understanding of computers at that point. It were the days that virus issues became a big deal. My computer was infected, pleas do’nt laugh, with the Pikachu virus, sometimes referred to as Pokey Virus. It was a really silly virus geared at children due to its incorporation of Pikachu from the Pokémon series. I got it in the form of an e-mail titled “Pikachu Pokemon [sic]” with the subject “Pikachu is your friend.” There was an attachment included and of course I opened it ) : As a consequence my computer was infected and became slow. Here we have a first answer on the question – Why is my computer so slow? : malware infections! The Pikachu was quite an innocent virus compared to what we are confronted with theses days on the internet. The increase of particularly spyware is quite troublesome. Spyware is developped in order to avoid detection and has many tricks in its sleaves to fool antivirus products. In fact, well developped spyware has many components as well and should be called modular malware. Potentially, it could do many different stuff on your computer, without you noticing it, like installing a keylogger or a rootkit and turning it into a so called zombie computer. A zombie computer is completely under the control of a hacker and organized in networks in order to attack on a certain time a certain target, for example a bank. Anyhow, many people are working on a slow computer because as soon as it connects to the internet it is communicating with the server of the hacker. For example, spyware could share all privacy sensitive data with the server of the hacker in search for credit card details and other details that would enable a cybercriminal to steal some real cash. If there is nothing to find, the cyber criminal might decide to install a ransomware program to lock your computer and force you to pay a X sum of money in order to get your computer unlocked. Is your internet slow and does your computer slow down in perfomance as soon it connects to the internet? To be honest, almost all users underestimate the risks and overestimate their own situation. Did you know that most antivirus products are completely inadequate to protect you from all possible malware attacks on the internet? It is strongly recommended to use a second-opinion malware scanner in order to double check if your slow computer has no spyware or rootkits active on your system. Double check your system with the SpyHunter or the Hitman Pro. These programs are real specialists and have a proven track record as excellent spyware removal tools and rootkit scanners. 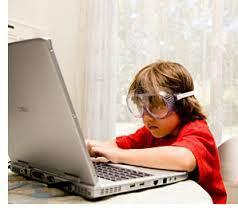 Forget not to invest in the best internet security for protecting yourself online. We are these days completely dependent on the internet and your computers. 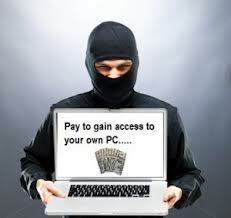 Cybercriminals know this and operate international to earn money on us as possible malware victims. Are you using a mac? 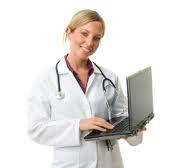 Then I would recommend you read my article on mac antivirus software. 2. Why is my computer so slow? : you did not take care of it! Besides possible malware infections,there could be less problematic issues at the root of your problem with your computer. The question why is my computer so slow? is raised because of frustration about not knowing what is causing this system slow down. The computer is a complex mixture of apps, software and hardware with some set limitations on performance and bandwith. All the diferent hardware and software components need to communicate effictely with eachother. The problem is that software vendors are regularly forcing us to update software components that might effect the communication with for example hardware components. Here we have the so called software driver issues. Outdated drivers might be responsible for why your computer is so slow. This in combination with bloathed hard disks and stuffed internet browers and too many active programs claiming all your system resources could easily slow down your computer. It is not easy to know what exaclty is causing the problem. Therefore have many software companies worked on the development of complete utility software programs for analysing slow computers. The reason I bring this up is that on the internet there are many different programs available that deal only with 1 possible cause for a slow system. For example, the Windows registry could be riddled with obsolete and corrupt registry keys after a malware indicent. To repair and clean the Windows registry would have a great impact on system performance and stability. Nevertheless, we only have dealed with one compontent of your computer, a damaged registry. What about the fragmented hard disk that is causing slow downs? 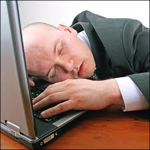 Are you going to buy a registry cleaner and a driver cleaner seperately? What about your updated drivers? Are you going to wait with this problem and buy a driver scanner when the problem is more prevelant? No, of course not, we shoud invest in a complete all-in-one program for cleaning, optimizing and repairing all components of your computer. I did a lot of research on finding all-in-one computer care programs developped by Microsoft Certified Vendors. Here is my list of the best programs availble. I would recommend you download one of these to check your computer on issues and errors that are slowing down your system. Rootkits are very complex malicious programs with spyware, keylogger and Trojan capabilities. When your computer is infected with a rootkit your computer is under complete control of someone else without you nor your standard antivirus knowing about it. Only the best anti-rootkit software could help you. Your computer has become a Zombie computer and could be used by the hacker in a co-ordinated DOS-attack in order to compromise other systems. The hacker could choose to install any program on your computer as he wishes. Your internet safety is gone. Your internet privacy vanished. Normally the hackers try to create huge zombie-computer networks in order to undertake complex cyber attacks on governmental institutions or banks. Did your internet turned very slow suddenly? Yes, a slow internet might be a sign of a spyware infection or worse rootkit activities. A rootkit with spyware functionality could be on stand by mode most of the time. Only during attacks the rootkit will be activated for fulfilling its tasks for the cracker. What is the best rootkit scanner or anti-rootkit solution? Rootkits are activated before your operating system even boots up. This makes them very difficult to detect and also make it possible for cracker to access and use the computer without the owner’s notice. In other problem is that due to the way rootkits are used and installed, they are notoriously difficult to remove. It requires a specialist in order to detect and remove a rootkit. I would recommend my readers to use the SpyHunter 4. This program has a fantastic track record in detecting and removing complex modular malware from infected computers. More importantly, the program includes a HelpDesk and human assistance if the program has difficulties to remove the specific rootkit version. 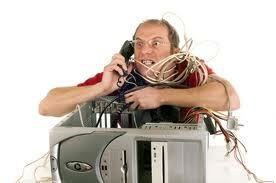 You will not need to call for extra help of an expensive IT-expert. Only the PCKeeper contains a similar service, but this program has not the same track record as the Spyhunter. The Spyhunter contains an excellent rootkit scanner. For more information: SpyHunter 4 Review! Do you have a rootkit on your PC? Free system scan for rootkits & spyware! What are other good anti-rootkit products and scanners? High quality rootkits scanners are in general excellent spyware removers. I wrote an article on this topic and mentioned here some specialists you could use as well: Spyware Removal Guide. Here I will mention two outstanding alterantives. First, the Hitman Pro. Hitman Pro is a relative unkown player, developed by SurfRight, a Dutch security company. Hitman Pro is very effective and has a fantastic track record. It removes without problems rootkits and other complex malware from your computer. It does not come with the same support package as the above mentioned solutions. Nevertheless, it is a cheaper solution! For more information: Hitman Pro 3.7. Secondly, there is Emsisoft. Emsisoft is a relative new player, but what an incredible performance the Anti-Malware 9.0 delivers in detecting and removing rootkits and other malware. It has a dual-malware scanner with many impressive Awards obtained during the years 2013 and 2014. 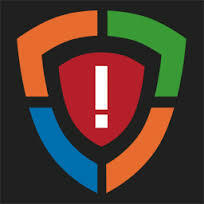 For more information: Emsisoft Anti-Malware Review. What is the best pure rootkit scanner for advanced users and IT-specialist. The above mentioned rootkit scanners are in fact full-blown malware scanners with great anti-rootkit protection. They will detect and remove rootkits without any problems. Nevertheless, there are cases a pure rootkit scanner could be added or used in order to be 100 % sure the rootkit has been removed. This programs are often called Anti-rootkit (ARK) tools. These Arks are powerful tools and using them incorrectly could lead to disastrous problems with your operating system. Most of them should only be utilized by advanced users as they generate long logs which must be interpreted and investigated before taking any removal action. 1. The Bitdefender Rootkit Remover deals easily with Mebroot, all TDL families (TDL/SST/Pihar), Mayachok, Mybios, Plite, XPaj, Whistler, Alipop, Cpd, Fengd, Fips, Guntior, MBR Locker, Mebratix, Niwa, Ponreb, Ramnit, Stoned, Yoddos, Yurn, Zegost and also cleans infections with Necurs (the last rootkit standing). Please note that the list is a bit outdated – new rootkit families are added as they become known. For more information: Bitdefender Rootkit Remover. Free PC scan for rootkits & spyware! What is the best internet security software? Anonymous surfing? What are the advantages? Why is anonymous surfing relevant? Anonymous surfing is a luxury and an important step to protect your online privacy and to enhance your internet security level. The revalations of Snowden about the secret surveillance projects of the NSA and other intelligence agencies showed that our personal rigths for privacy are trambled upon. 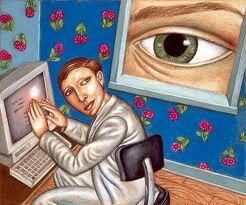 Internet privacy is just as important as normal day to day privacy. Everybody should respect our right for personal privacy. 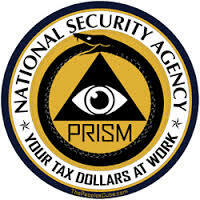 Not only the NSA likes to profile everybody, all major internet companies and ISP providers like to gather as much data as possible on how people surf, behave and communicate. Based on this information they are able to target advertising to according to specific user profiles. What profile do you belong to? Although less invasive, it is still creepy how every move on the net is being tracked and analyzed. Hackers can accomplish the same with specially crafted malicious software programs and surveillance software. They can pinpoint their attacks better and are more and more succesfull in spreading multimodular malware like ransomware and Banking Trojans. It really makes sense to hide your track, change your IP and surf privately on the internet. Not consider your internet privacy as relevant entails internet safety risks. What is the best way to accomplish real anonymous surfing? There are many cheesy, half-baked solutions that are supposed to help you to become more safe and anonymous on the internet. In particular, the free proxy lists you could use are riddle with risks and malware booby traps. No, if you really want to do it correclty you will need to invest some money in a good VPN service, like HideMyAss. This good VPN service provides users with a secure connection over the Internet. Users can connect to a VPN server via a secure tunnel which encrypts all communications that go and out of a users device. When using a VPN, your IP address remains hidden and all the internet traffic going in and out of your device is encrypted. This prevents prying eyes from tracking your online activities and prevents hackers from stealing your sensitive personal information. VPN technology uses a combination of features such as encryption, tunneling protocols, data encapsulation, and certified connections to maintain this secure connection. Using a VPN is one of the best methods for protecting your privacy online, while securing your internet communications at the same time avoiding identity theft and targetted malware attacks. We recommend you use the VPN service of HideMyAss. Anonymous surfing is only possible if you apply the best internet security measures in order to make sure you do not get infected with malicious programs or keylogger programs of third parties. Before you start to implement your new online surfing strategy, make sure your computer is clean from possible spyware hiding on your system. For more information: spyware removal guide. Next step is to read our best internet security tips in order to make sure your anonymous surfing experience is optimally secured! 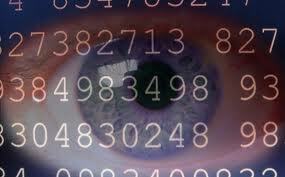 Are you already being tracked and monitored? Check your PC with the SpyHunter – a real specialist in detecting all malicious and suspicious activities on your computer! Finally, to complet your efforst you should make use of anonymous email & file sharing and communication services. There are many solutions available. I’m using Unseen, a new initiave for protecting the privacy of their users providing secure and private email, chat and fileshareing services. Also I could recommend the Tor Project. They have many free privacy solutions available and are committed to ensure anonimity in the cyber space stays a possibility. There are many powers conspiring to control the internet and ban out the possibility for surfing anonymous on the web.